Ultra breathable with four-way stretch, the Sitka Gear Men's Ascent Jacket is designed for warm weather hunts or high output brush busting. Brushed fabric for a silent finish and a full front zip make this jacket easy to peel off or pile on. Ideal for when your hunt requires full concealment. Ultra breathable with four-way stretch, the Sitka Gear Men&apos;s Ascent Jacket is designed for warm weather hunts or high output brush busting. Brushed fabric for a silent finish and a full front zip make this jacket easy to peel off or pile on. Ideal for when your hunt requires full concealment. Designed for warm weather hunts and charging through brush and undergrowth, this durable, ultra-breathable outer layer expels heat and perspiration. Use the Ascent Jacket when you wish you could wear a T-shirt, but need full concealment and scratch protection. 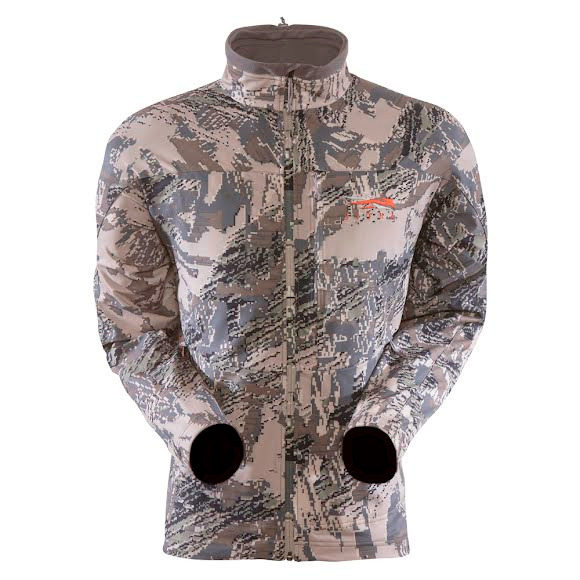 It is the ideal early season outer layer for Big Game and Whitetail Systems. At just over 15 ounces, the Ascent Jacket is built for hunters on the move. The athletically cut 4-way stretch woven polyester fabric offers maximum range of movement and impressive abrasion resistance. The full front zip makes for easy peel off and pile on, while the silent finish of brushedfabric lets you come to full draw in stealth. Two hand pockets and one chest pocket are positioned so as not to conflict with your pack&apos;s waist and chest straps. Fits good. Not too bulky. Light weight for those Early fall hunts. Good for hiking too. Coat fits perfect. Ordered online and had it in 2 days, great service.